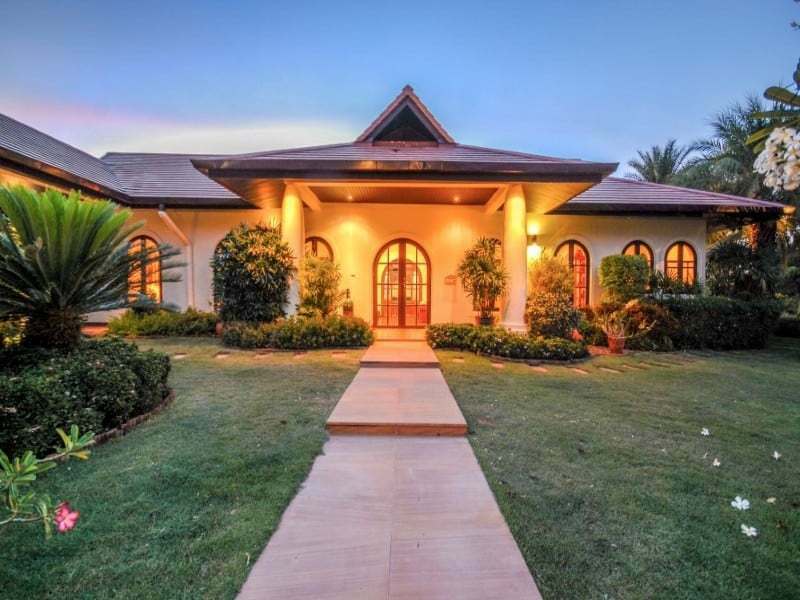 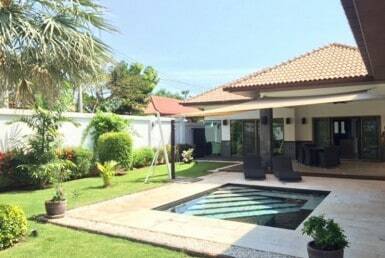 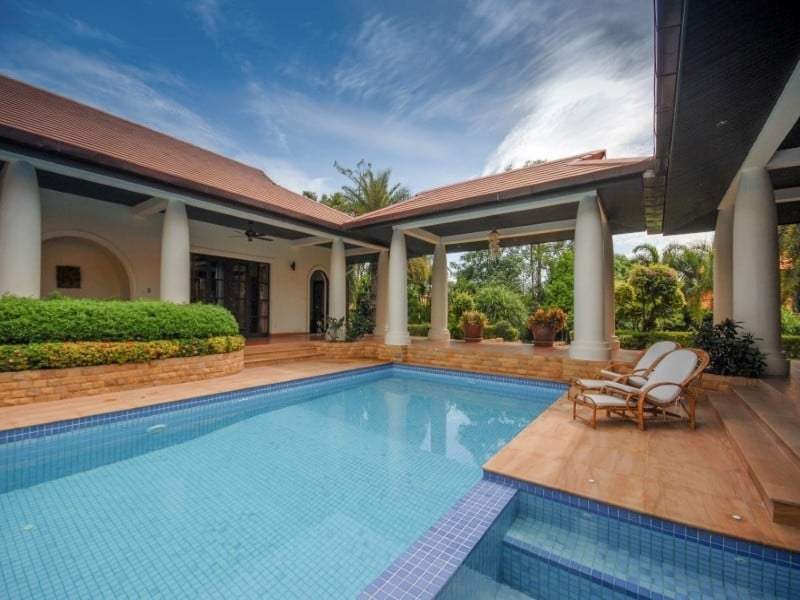 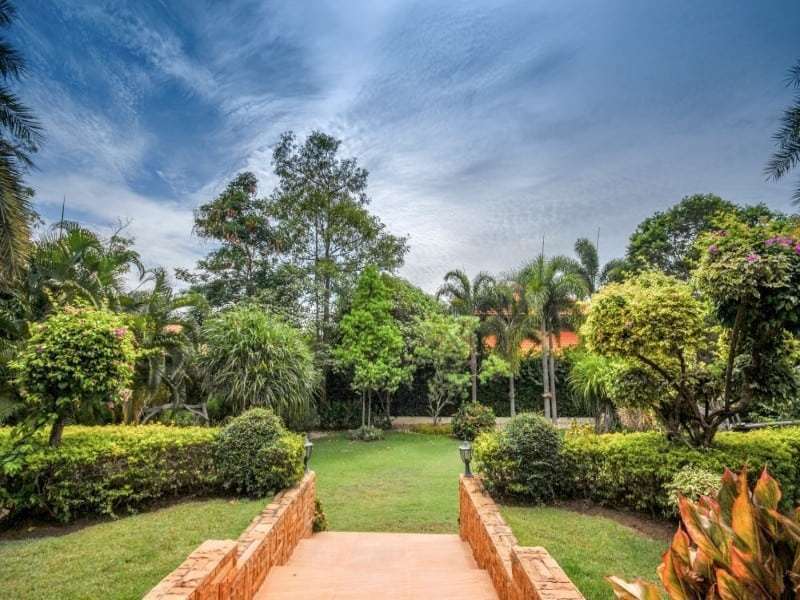 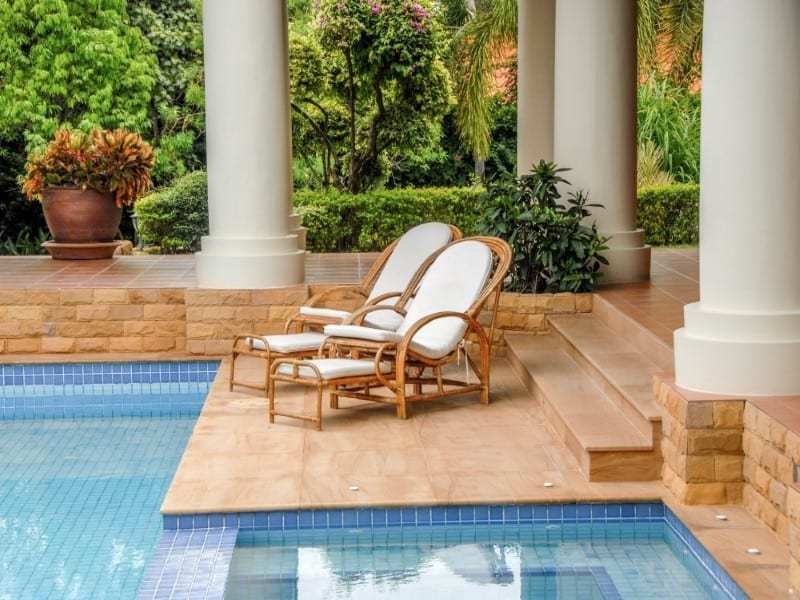 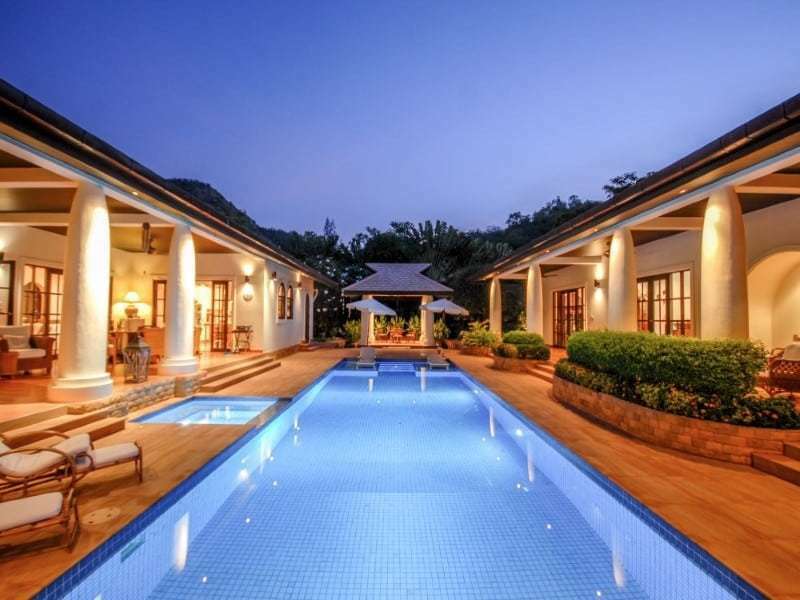 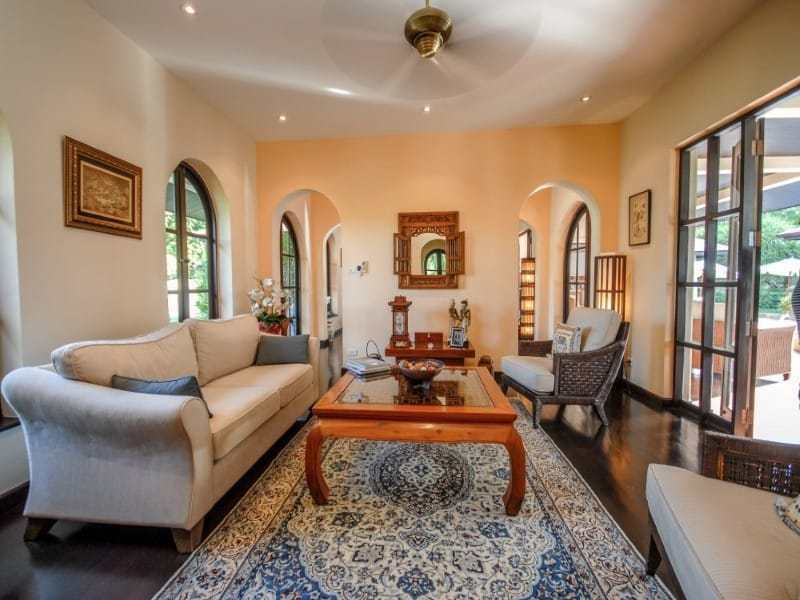 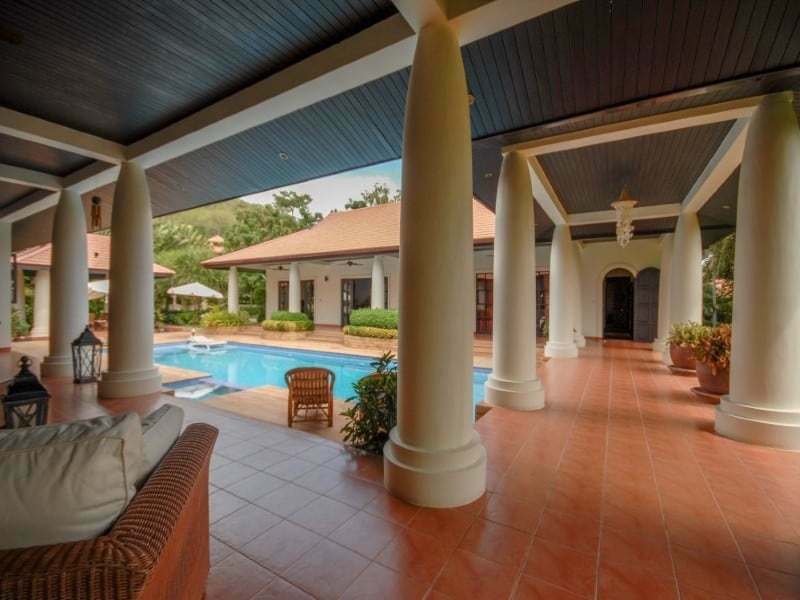 This Balinese style villa Hunsa Hua Hin is the ultimate luxury villa. 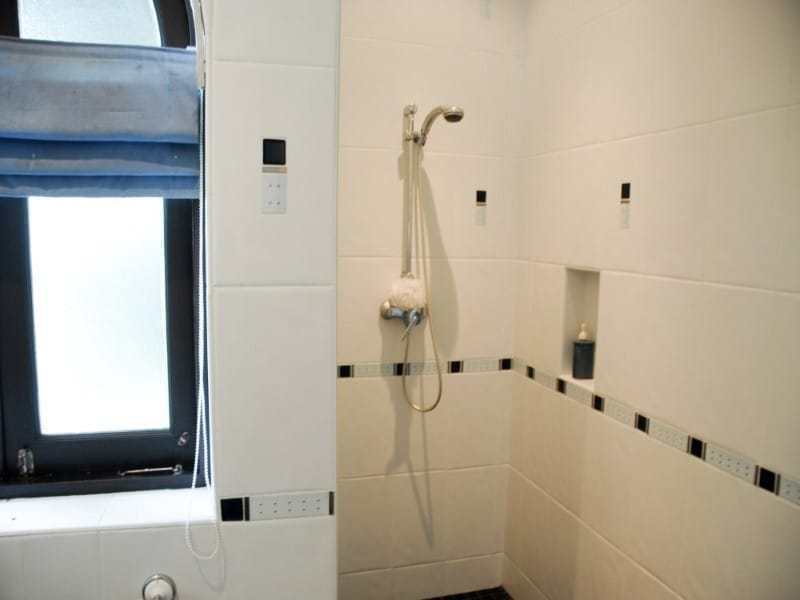 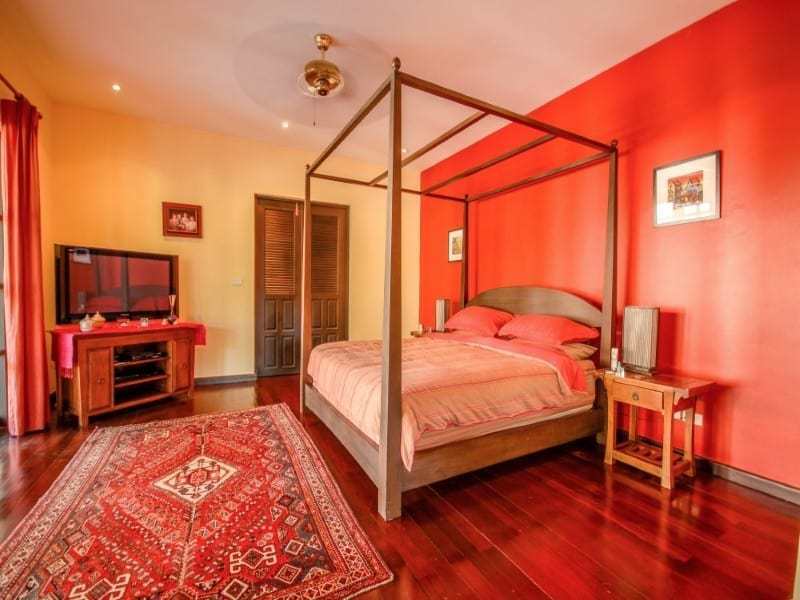 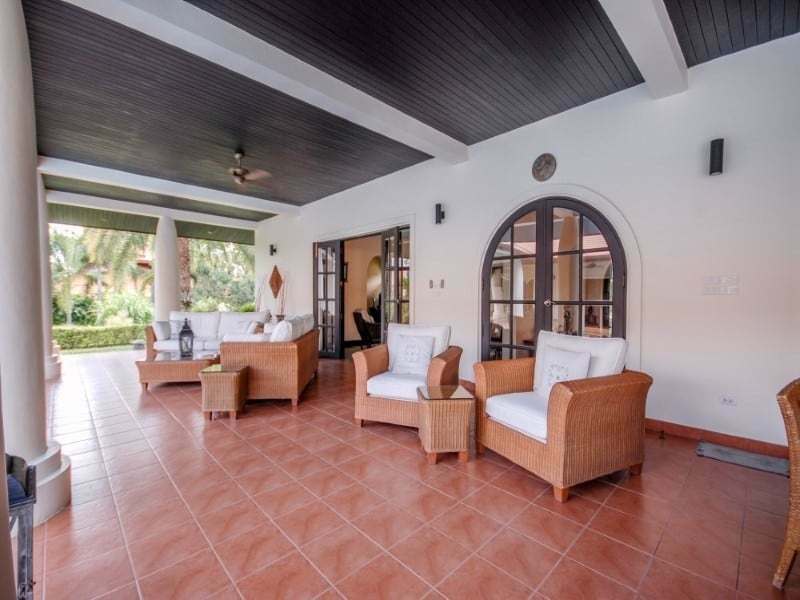 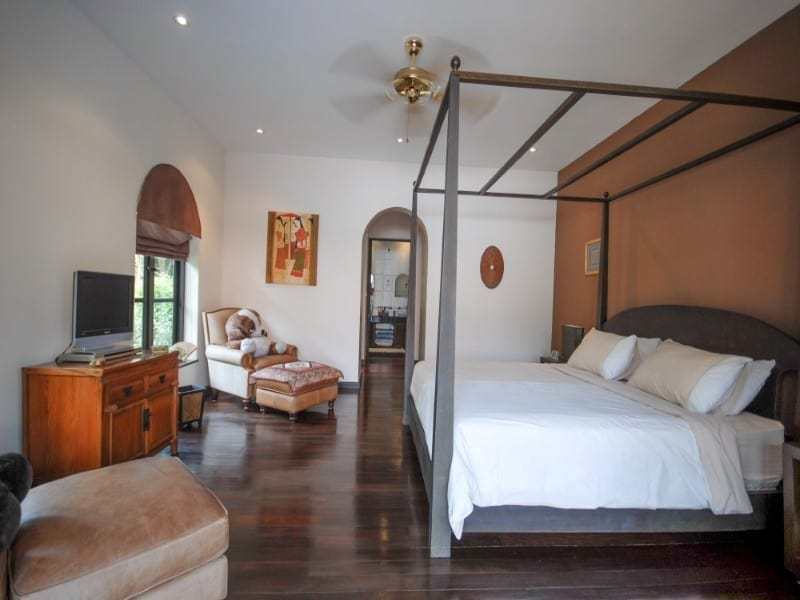 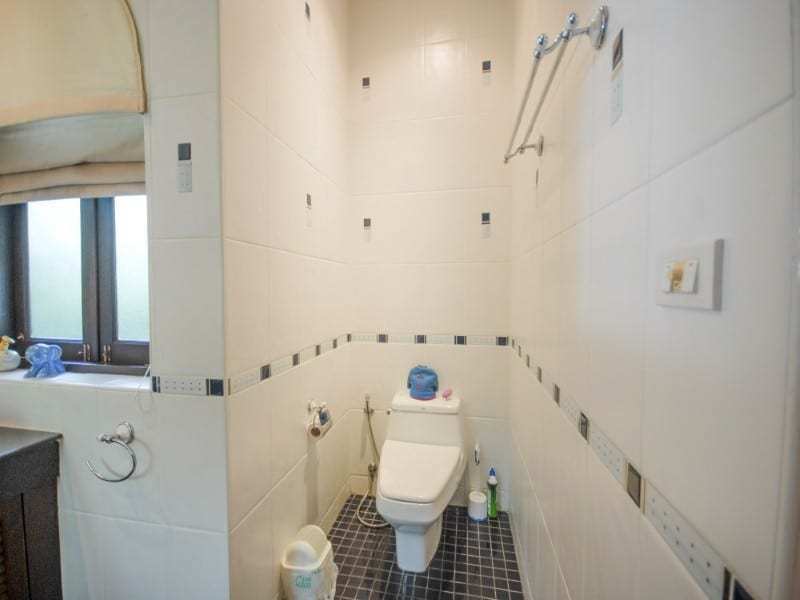 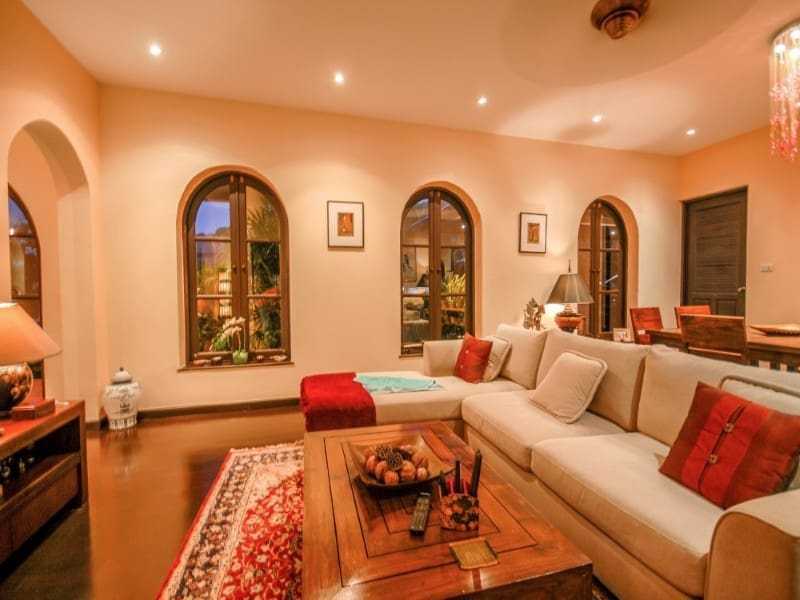 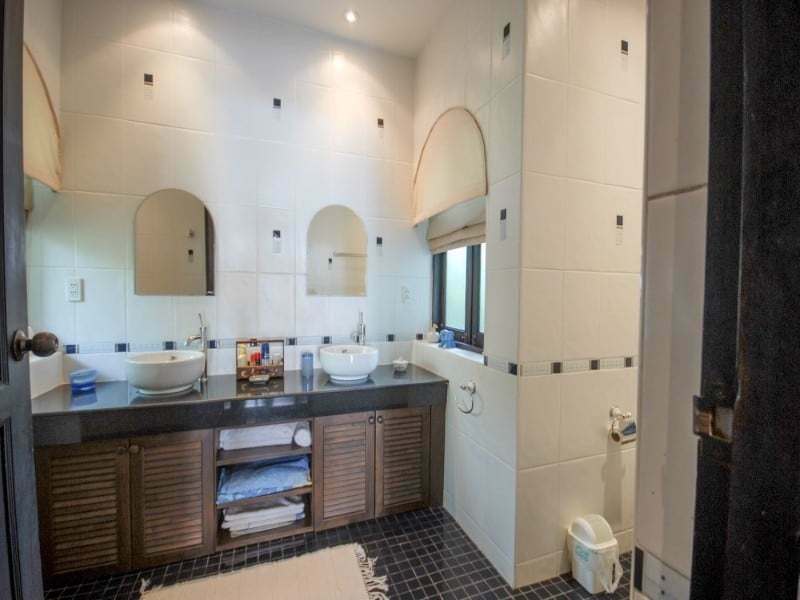 The house itself consists of 5 tastefully decorated bedrooms and 6 well presented bathrooms. 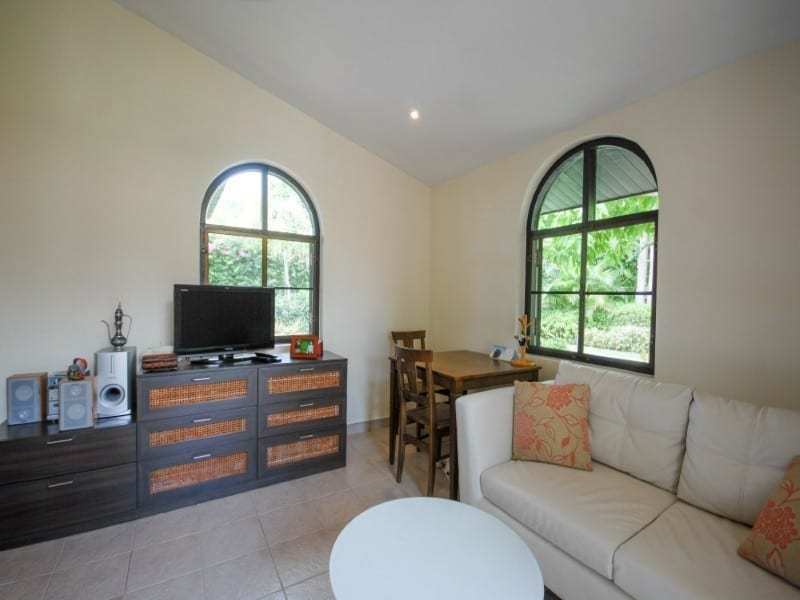 The living areas are spacious and tastefully decorated also the kitchen is fitted with all modern appliances. 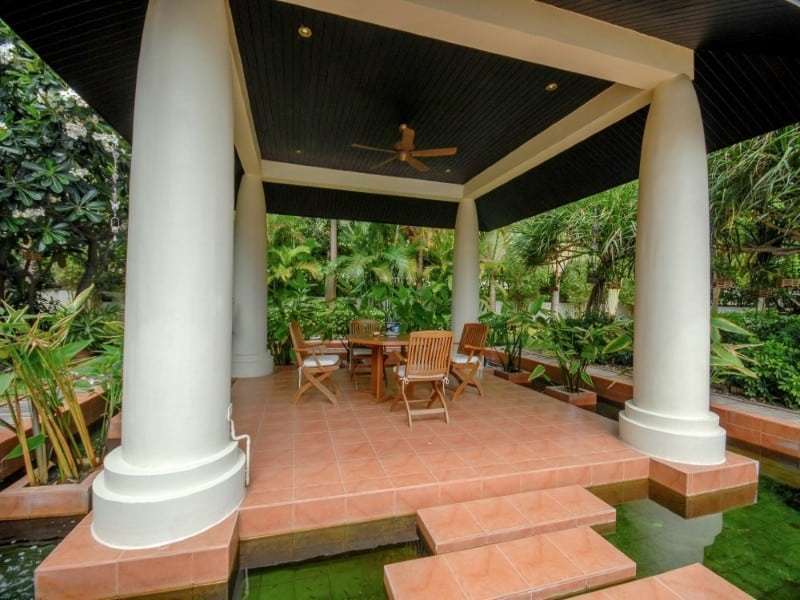 Outside there’s a huge covered area suitable for both external dining and relaxing. 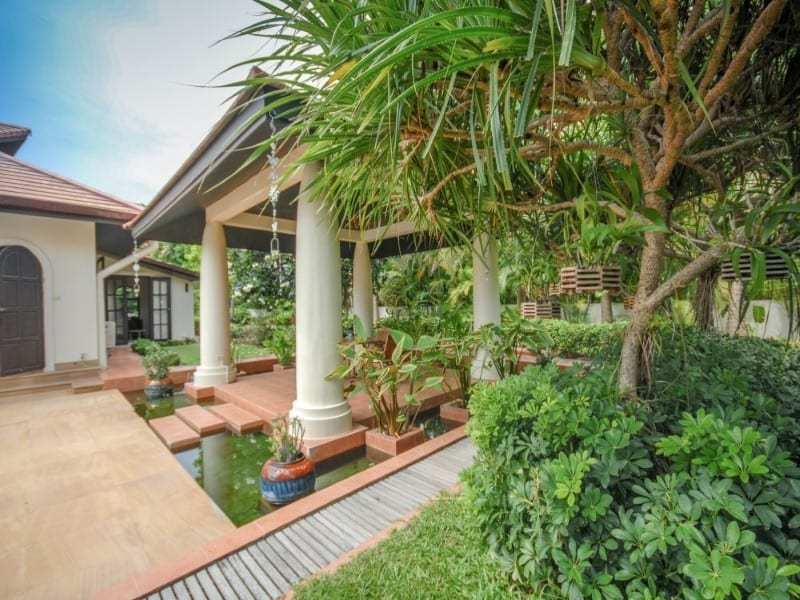 Additionally there is a floating covered sala with coy carp pond. 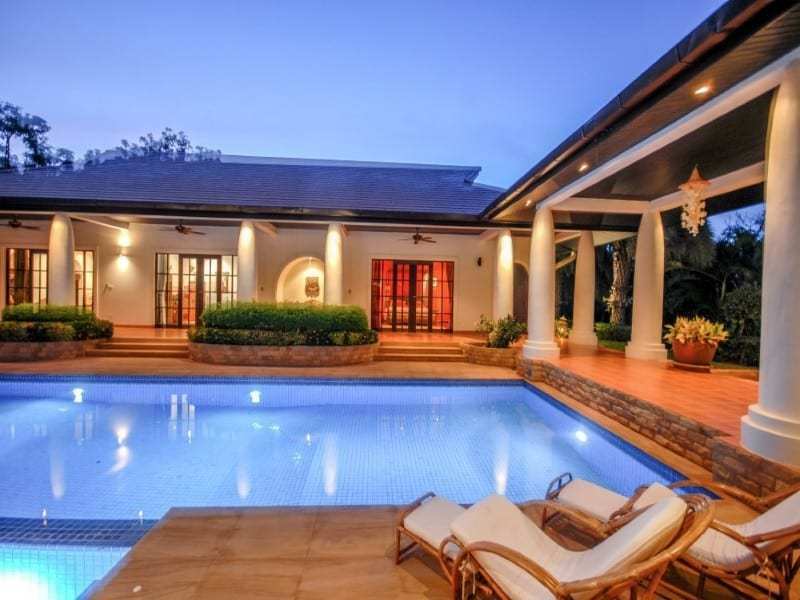 The swimming pool runs the width of the house and has an integrated Jacuzzi. 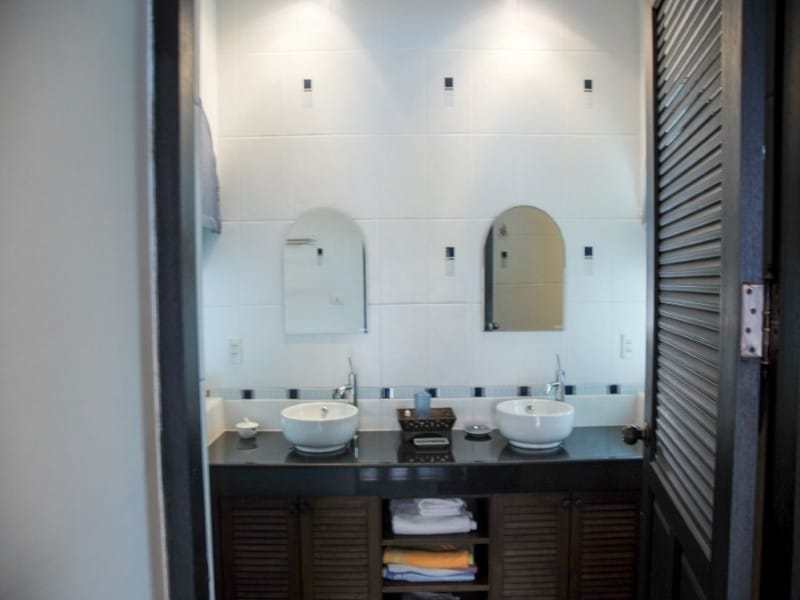 Furthermore there is a separate maids quarters with bedroom and bathroom. 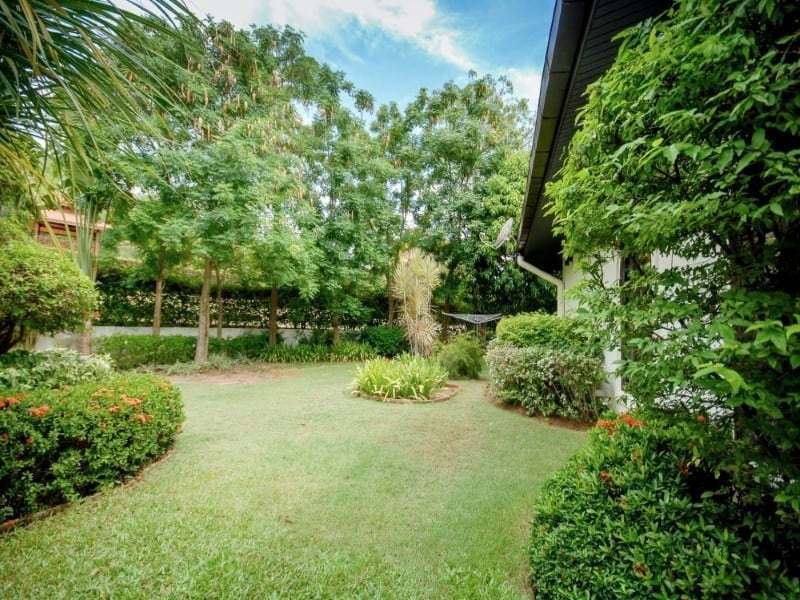 Only 10 minutes from the city center and a 5 minute drive to the beach. 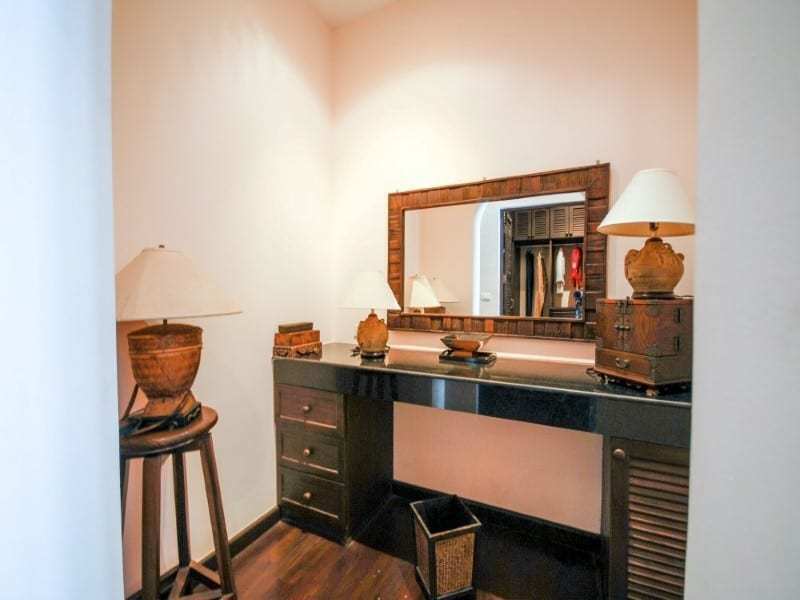 Restaurants and shops as well as a fresh market are reachable in less than 5 minutes.